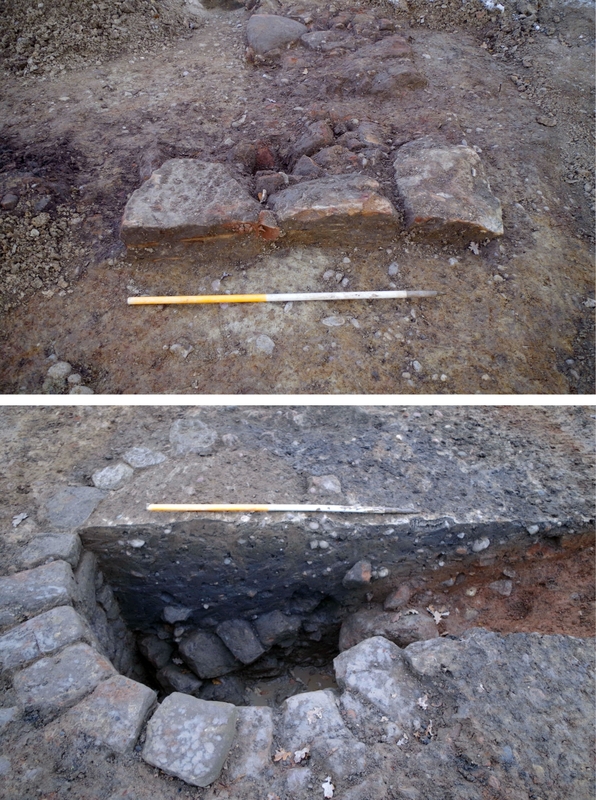 In late 2014, archaeological fieldwork on land off Damson Parkway on the eastern edge of Solihull revealed the remains of a rectangular stone-built Romano-British building (or range of buildings) and an associated stone-lined well, both set within a grid of infilled field boundary ditches. The excavations, funded by CgMs Consulting working on behalf of Jaguar Land Rover, have shed new light on the early history of Solihull. Very little is known of the local landscape during the Romano-British period, and the site is the first of any signifance of that date to be investigated in the borough. The remains at Damson Parkway represent a farmstead occupied between the 2nd and 4th centuries AD. Its inhabitants practised a mixed farming regime, with the emphasis on spelt wheat production and cattle rearing. The traces of the building show the people here were relatively well-off and were willing to adopt novel Roman ways, although the finds assemblage was fairly sparse. Numerous fragments of Romano-British roof and box-flue tiles were recovered, but these were retrieved from the field boundary ditches rather than coming from the building itself, which had been heavily robbed. The results will be published in the Transactions of the Birmingham and Warwickshire Archaeological Society.